The GGSIPU or Guru Gobind Singh Indraprastha University BBA entrance exam will be held on 26th May 2018 and the cut-offs will be in the public domain by Second week of June 2018. There will be variant cut-offs for every round of counselling and it is being foreseen that there will be three rounds of counselling to fill the 950 seats of BBA. First let us look at the definition of the term, 'cut off'. Cut off marks and a cut off rank by definition is a measure of one's proficiency in the subjects tested in the exam. Anyone who has scored marks equal to or above this standard called cut off marks and a rank equal to and above the cut off the rank is deemed to have qualified the test and will be called for counselling. Since there are many colleges participating in the Indraprastha University and also there is a reservation for backward classes, therefore, the cut-off marks and ranks fluctuate with college and with each category of students. The cut-offs are announced on the basis of total seats being offered, the toughness level of the exam, number of applicants, number of colleges, reservation norms and previous years cutoffs. It should not be overpassed that this is the score which is there is for general category students and cut off is much lower for reserved category students. In terms of cut off ranks, the colleges that surpass others such as Maharaja Surajmal Institute, and Maharaja Agrasen Institute of management studies announced cut off ranks of around 235-300 whereas other lower ranked colleges such as Jagannath international institute of management school announced cut off ranks at rank 500 and last of all there is Jagan Institute of management studies where the cut off was 700. 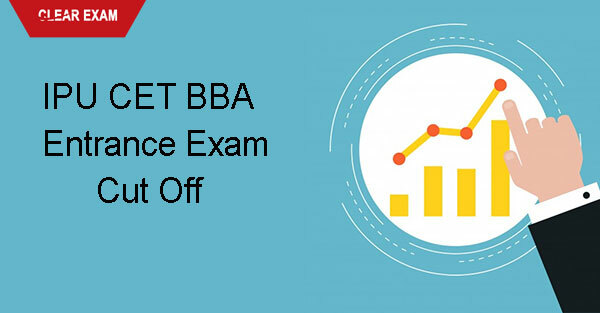 Another facet one must reckon is that the above cut off ranks are for the regular BBA course whereas the other stream of BBA in banking and insurance saw a cut off rank suboptimal than the cut off for the regular BBA course in the same colleges. This implies that it was unchallenging to get admission in the BBA banking and finance course as students who scored an unsatisfactory rank could also get admission in this course if not in the regular BBA course. Now comes the question as to where can one find the cutoffs when one is eagerly looking for the same. The answer is that there are many coaching institutes which syndicate cut off lists but Indraprastha University does publish an authentic cut off list on its official website under the section called "events and announcements". Marked in this section you will find the heading "BBA and the relevant course code" where you can sight the cut-offs. So to wrap up I would like to come to capper of the article with reaffirming the important nugget of information that cut offs vary with college, with your category and caste, and with your course of choice and also another information one should remember is that overall there are 5500 seats in 30 colleges affiliated with the university which means that many students get called for counseling. Good luck to all.